Audio books have improved my life times 1,000. They make boring or annoying tasks go by in the blink of an eye. Now, when I’m pounding away on the treadmill or swiping on mascara, I’m also reading at the same time. Such luxury! If you’re not on the audio book train yet, you need to get on board! Without further ado, here are some audio books I’ve had in my ears recently. I’ve got a lady PI and an Australian thriller featuring a deaf protagonist, plus a historical YA romp through Europe and a magical realism/fairy tale retelling mashup! Recent events have put me in the perfect frame of mind for an angry female character, and Cass Raines is the angriest I’ve seen since Lisbeth Salander. Cass is filled with a righteous, simmering rage and will not be stopped—by criminals or cops—until she closes her case. 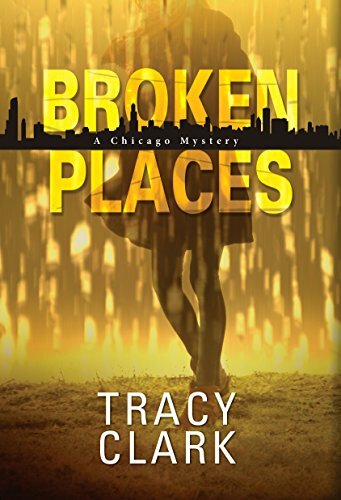 A former police officer, now a PI, Cass is stunned when she finds the body of her beloved father figure and mentor, Father Ray, shot dead in his own church, a dead gangbanger sprawled nearby. The lead detective on the case is a self-aggrandizing blowhard that Cass knows all too well from her time on the force, and he’s quick to assume it’s an open and shut murder/suicide, but Cass is convinced there’s no way that’s how things went down. She takes it upon herself to investigate, despite warnings to stay away from the case. She loved Father Ray and can’t let his killer go free. A note on the audio version: Shari Peele is a good narrator, but the recording is marred by many soft palate/swallowing noises. (I’ve never listened to an audio book that wasn’t carefully edited to remove such sounds—can’t believe they made it into the final version, frankly. Some pauses were so distracting, I expected Peele to clear her throat and say “Excuse me” before moving on with her reading.) If you turn the volume down, they’re less noticeable, and I was able to put my annoyance aside because the book was so good, but if mouth noises make you murderous, you might want to grab this one in print. I’d put this book next to Joe Ide’s IQ for its multifaceted, complex protagonist. Caleb, who has been deaf most of his life, finds his friend murdered in his home. The cops imply that Gary was involved in something unsavory, but Caleb knows his friend was a stand-up guy. With just a few ambiguous text messages to go on, Caleb decides he’s going to find out who killed Gary and why, with the help of his friend Frankie, an ex-cop and sober alcoholic. 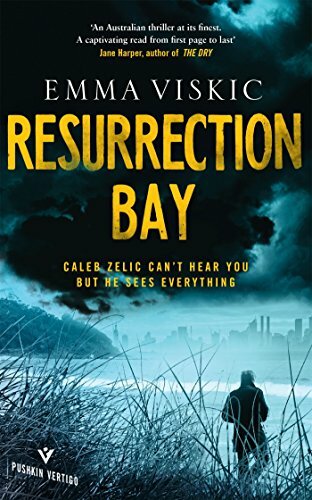 Viskic includes enough detail about the impact of Caleb’s deafness that you get a clear picture of what his life is like, but it’s never the focus of the story or the main feature of his character, which I appreciated. The stakes are really high in this one—I felt like Caleb was in constant danger from beginning to end—but especially once he goes to stay with his ex-wife (who he definitely still has feelings for) and she’s in the line of fire as well. The audio performance (including Australian accent!) is superb. After my mystery/thriller mood ran its course, I was more than ready for a light and fun historical jaunt through Europe. 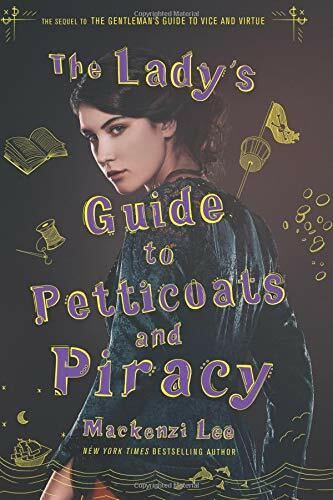 The Lady’s Guide to Petticoats and Piracy is a companion novel to The Gentleman’s Guide to Vice and Virtue, which I read last year and absolutely loved. Although chronologically it comes after the first book, Lady’s Guide isn’t what I would consider a true sequel, as it centers Felicity, the sister of main character Monty from Gentleman’s Guide. Monty is an uproarious, foul-mouthed lush (all of which made me love him), but Felicity is serious with a capital S and therefore the tone of her book is completely different. I couldn’t really blame Felicity for being that way—in fact, I related to some parts of her personality quite strongly, especially her wariness toward women who understand things she doesn’t, like fashion and how to comport oneself in polite society. Felicity tries to mask her insecurity by bashing on her fellow ladyfolk but is rightly called out for it—after all, there isn’t just one right way to be a woman. *fist pump* Another reason Felicity is so no-nonsense is that she has lofty goals: she wants to become a doctor at a time when only men were judged competent for such professions. Her ambition is the irrepressible engine that keeps the plot moving and the scene hopping from one European city to the next. Lady’s Guide is without doubt my #1 Girl Power Read of 2018! And GUESS WHAT! The audio book is narrated by THE Moira Quirk of Nickelodeon GUTS fame! (Where my ‘90s kids at?) Let’s go to Mo for the leaderboard, Mo! Anna-Marie McLemore is one of those authors who has been on my list forever and I just never seemed to pick her up. I think I was intimidated because she writes magical realism, which nudges up against genres I’m comfortable with, like fantasy, but with a little more flowery hand-wavey-ness? Or at least that was my impression. When I read the blurb for Blanca and Roja, though, I was so drawn in by the idea of a Latinx Snow White/Rose Red retelling that I decided to go for it. And it was way more accessible than I thought it would be! It’s told in four alternating perspectives, each with a different voice actor, so it’s always easy to tell who’s talking. And the language is lovely and lyrical without being overblown or sacrificing meaning for beauty. Also, I’m making a concerted effort to read more queer/trans authors and characters, and I appreciated how those aspects were incorporated seamlessly into the narrative. 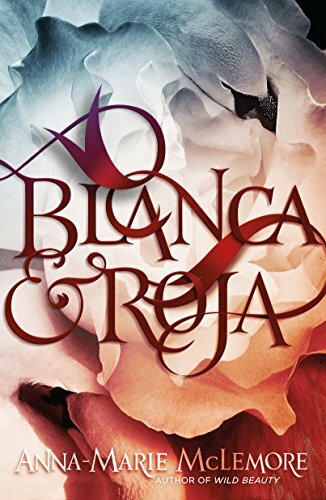 If you like reading about complicated sister relationships and difficult family dynamics, and especially if you love the dreamy quality of fairy tales, you will love Blanca and Roja.